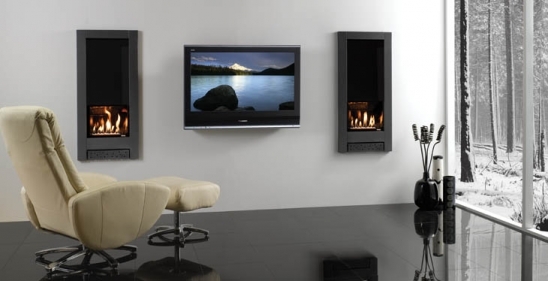 An outstanding combination of smooth, sparkling glass and contemporary steel provides ultra contemporary styling that comes with a choice of two of Gazco’s high efficiency fires. The E-Studio version has a mesmerising white stones fuel bed and ribbon flames. The E-Box version is slightly more traditional, with a choice of coal or pebble effect fuel beds. Fusion colour choice: Graphite or Iridum.